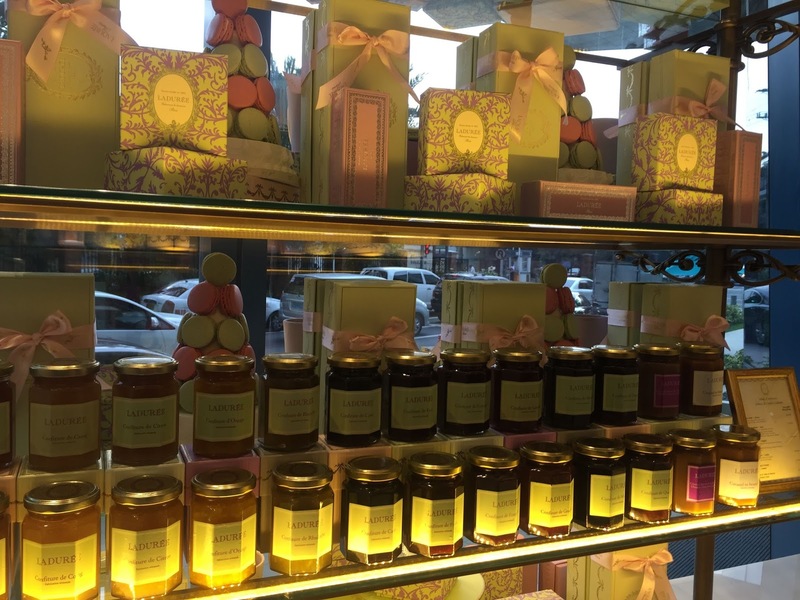 Ladurée finally arrived in Manila! 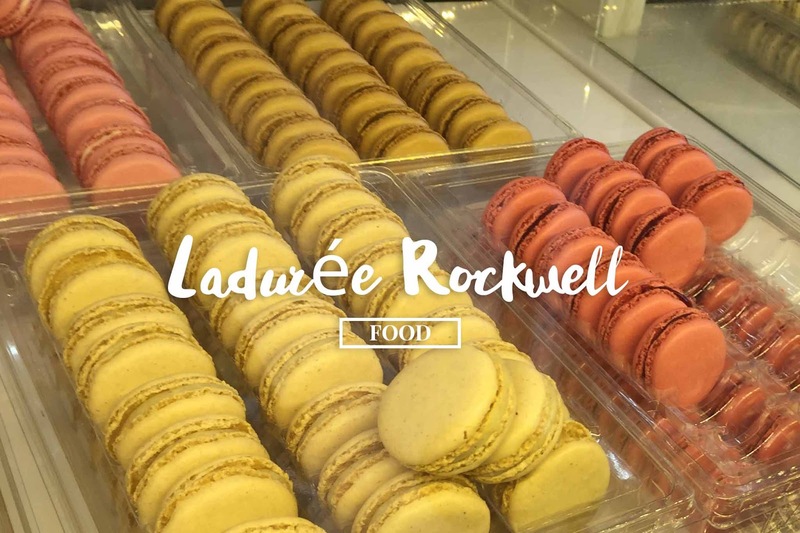 It is located in 8rockwell Building just across Ateneo Rockwell Campus. It was the old site of Pancake House, Starbucks and Good Earth. 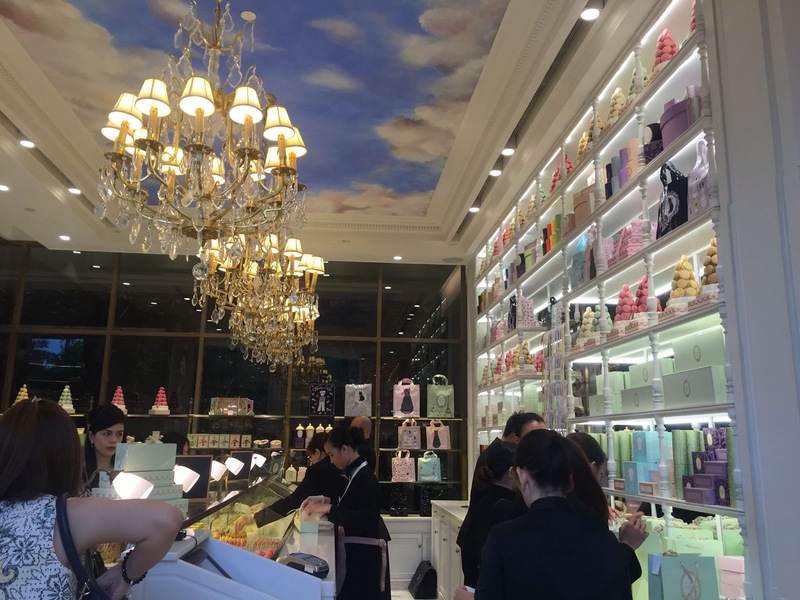 They have the Marie-Antoinette here while in other asian countries they don't have the flavor. As of now, you may want to take advantage of their seasonal flavors like Toffee, Apricot, Earl Grey and Menthe Glaciale. The price of their Macarons is 150/piece. They have the usual boxes of 6, 8, 18, 24 and premium boxes. Other flavors present at the rockwell store were Citron, Pistachio, Rose, Orange Blossom, Raspberry, Coffee, Chocolate, Salted Caramel, Vanilla and my favorite Strawberry Candy "Guimave".